Photography brings images to life with the click of a button, but there is a lot more that goes on behind the scenes. Photography may look easy, but there are many intricate facets involved in the photo process, such as white balance, F-stops, and apertures. 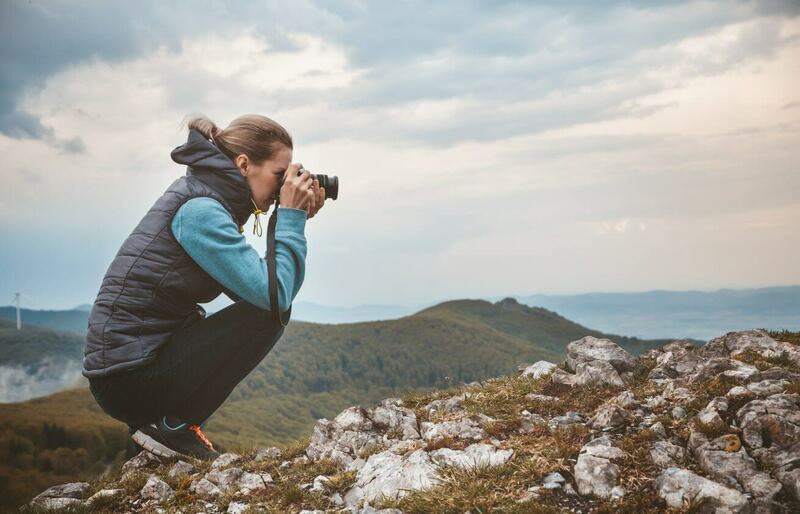 Here are five tips for capturing beautiful outdoor photography. To find the right balance, you will need to find the white balance. Objects that appear white with the naked eye will appear different using the digital camera depending on how the surrounding light affects things. Choosing the right white balance setting will help in making the photo look warmer or colder, depending on the parameters selected, which is the color temperature. White balance removes unrealistic color casts so that the objects that appear white with the naked eye will also appear white in the photos. F-stops are the numbers seen on your camera or lens as you adjust the size of your apertures. The aperture, or opening, consists of blades that form a small hole that open and close in the camera’s lens that allows light to pass through. The aperture changes the amount of light captured by the lens of the camera. The larger the opening, the more light passes through making the photo brighter. Its all about the light, but what kind? While everyone seems to love a bright sunny day, it’s not the best light for people pictures. The sunlight is too harsh, creating sharp, contrasty shadows. This can make it difficult to take have a good view, especially when taking hot air balloon pictures. This means you’ll have to look for good light, such as shade. Perhaps there is a building nearby casting a long shadow, or a canopy of trees shielding the bright sun. Look around for places that provide softer light, and your subjects will look better. It’s one thing for people to be smiling into your camera, but if it looks like that stop sign is growing out of the top of someone’s head, your picture might become an internet joke. As you look through the viewfinder, ask yourself what do I see behind the person? Is there a tree branch, a light post, or an ugly billboard over their shoulder? Move around so that the background is dull, plain, even boring. The result will be a photograph where the person is the center of attention, and there are no distractions. The final tip for improving your outdoor photography is to use a longer focal length, such as a telephoto lens. Even if you have a simple point and shoot camera, most of them have a zoom lens. Make use of the longer length or telephoto lens. This will help blur the background and focus attention on your subject. When you combine this tip with the wise use of the aperture, you’ll end up with a sharp photo of your subject and a beautiful creamy soft background. Outdoor photography is more than taking a photo. Capturing images at the right angle with the right amount of light is vital for a perfect shot. Whether you are a real estate agent looking to promote a property, a business, or you want to create a flattering product photography setup, finding the most advanced photography service is imperative. If you need help creating or finding beautiful images, check out our blog today!